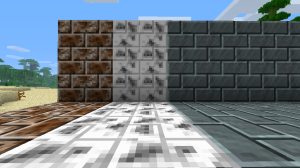 It is recommended to use the HD texture patcher to install the mod (but not the hd texture update), or simply copy the contents of the zip file into your minecraft jar file and delete the meta-inf folder. If you ever download this mod or anything related to it from any site other than electrichorsesoftware.com (or its mirror elhoso.co), please report it to me. 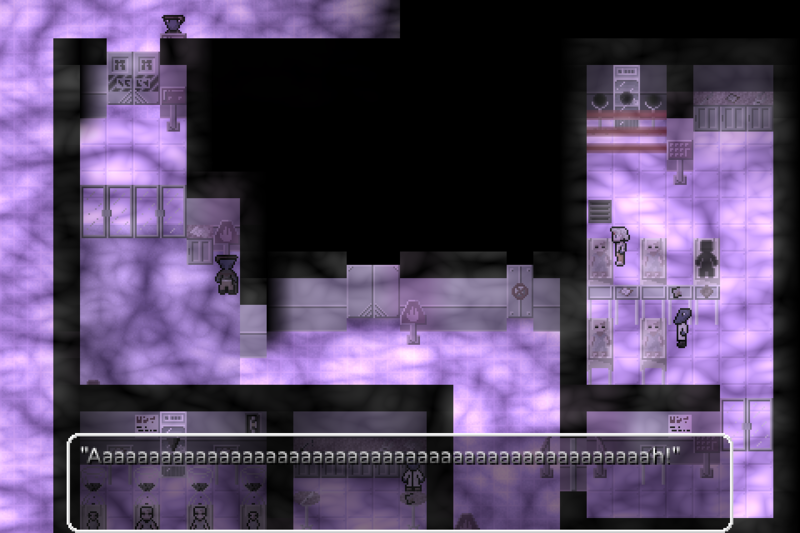 This mod will never be hosted anywhere else. 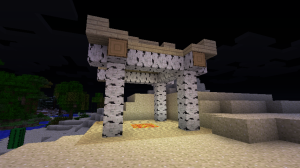 This is a total conversion mod based on Chinese mythology for Minecraft that aims to make combat as relevant to the game as mining and building are in vanilla mode. The goal of this mod is to provide a unique experience without breaking the original game. To that end, the mod exists as a new game mode that is available at world creation, and all other existing game modes should work as they do in the vanilla client. Multiplayer servers can run the modded server jar to host a game with this mode, and modded clients will be able to connent to vanilla servers or modded servers without issue. This mod is not designed to be compatible with any other mods, and any such compatibility is purely coincidental and not supported. 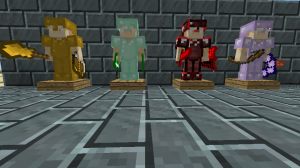 New tiers of armor and weapons, on the new armor stands. There are seven classes in this mod: four that deal with combat, two classes that deal with mining and crafting, and a base class that is always active that gives you a number of invaluable skills and passive benefits. You can switch classes at any time, and there is no level cap. All four combat classes are designed to be capable of filling any role in combat, but are each specialized in one area. You will never be without a tank or healer, but if you have a non-specialized class filling that role, they are going to have to work harder at it, and have fewer options available to get the job done. All classes can use any weapon or offhand item they want without penalty or reduced effectiveness. The soldier is a tanking-focused class. The sword is typically the weapon of choice for the soldier, as the ability to reduce incoming damage is something no tank would want to be without. In the offhand, the soldier will want a shield to increase armor and ensure his survival. The daoist is a healing-focused class. The bow is typically the weapon of choice for the daoist, as many daoist skills focus on conjuring magic arrows that provide unique effects to allies and enemies. In the offhand, the daoist will want to hold beads to increase their raw healing output. The pugilist is melee-range damage-focused class. The deer horn knife is typically the weapon of choice for the pugilist, as it can be used to brace against incoming attacks and prevent knockback, allowing them to stay in the fight. In the offhand, the pugilist will want to hold a second deer horn knife to increase their raw damage output. The monk is a far-range damage-focused class. The monk’s spade is typically the weapon of choice for the monk, as it can be used to push back most enemies nearby, or charged to push back a narrow band of enemies at range, which helps the monk keep the distance he needs to stay safe. In the offhand, the monk will want to hold a tome to increase the severity or duration of the negative effects his attacks apply to his enemies. The miner is a class that focuses on getting the most out of every block mined. Players should switch to the miner when digging out large areas or gathering resources from the earth to maximize their gains. The builder is a class that focuses on improving the effectiveness of crafting recipes, expanding their knowledge of the crafts available, and building structures with ease. Players should switch to the builder when working on establishing their base or outposts, or when crafting new items or tools. Some of the new items. A slew of new items give more variety combat, and add new ways for players to find what they are looking for in the vast landscape. New weapons with different effects on use to cater to the weaknesses of each class. Offhand items that give passive bonuses to enhance combat. Four new tiers of weapons, tools, and armor create a more even scale between tiers. Use ore dusts to find diamonds without blindly digging, or coal stoves to smelt your items on the go. 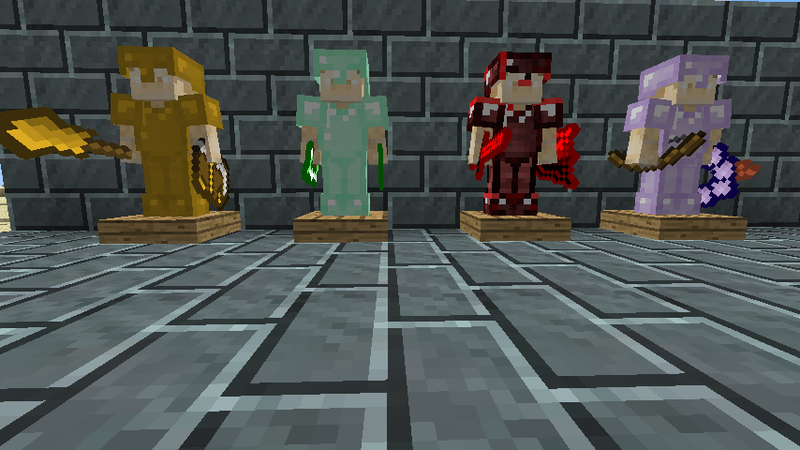 A few of the new decorative blocks. 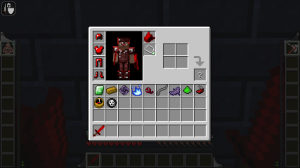 A number of new blocks give more uses for redstone, add new decorative options, or allow for powerful new methods of traversing long distances. Stepping stones throw you huge distances across the sky in a single direction. 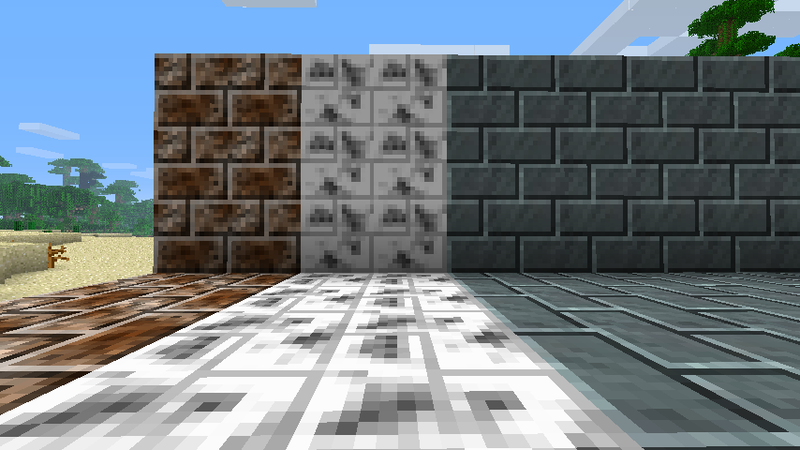 Slate, marble and granite give new potential colors and textures to your stone buildings, as well as extra protection from creepers. Facade stones let you create hidden passages in your buildings. A pagoda, basically a respawn point. The map now generates new terrain features based on how far you are from the origin point of the map. The world becomes a much more dangerous, though much more rewarding place the farther out you venture. Pagodas spawn regularly as respawn points. Four new hostile mobs fill in the gaps in the combat experience and keep combat more engaging and stimulating. 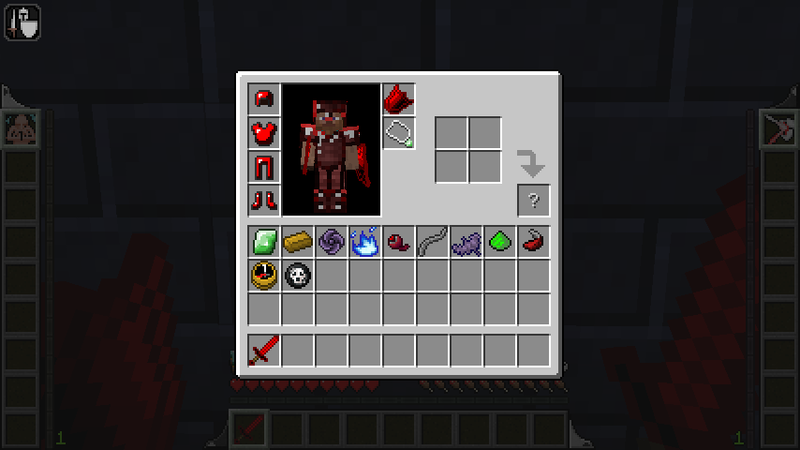 This creature spawns at lower levels, favoring lava and portals to the nether. The huli jing will cast spells at the player and teleport around to cause confusion, giving more time for the next attack. A slow but powerful beast, the nian will lumber towards its target, dealing massive damage on attack. If one catches you off guard, it can quickly be your downfall. The spirits of the dead roam the land, trying to possess the bodies of the living so they can feel once more. They are sensitive to the light, as it can banish them back to the underworld at high intensities. When attacking, the ghost will try to possess its prey and fly high into the air. If the victim resists the ghost, it is dropped from great heights, usually to its demise. Bats just want to be left alone, to hang on to the dark corners of the ceilings of caves, buildings, or whatever else they can find. When provoked, they tend to swoop in on their victims and fly away in a hit and run-style attack. A number of small changes make the game world feel different than a normal minecraft map. – You no longer respawn at your spawn point, rather at the nearest spawning structure to ensure you are never too far from where you died. You can still return to your spawn point at any time with the Recall skill. – When you die, you items are collected in a floating orb that is only visible or usable by you for five minutes, at which point it bursts and your items are dropped like when you die in vanilla minecraft. Your spirit guide can help you find this spirit orb. – The compass now always points north. This makes it easier to navigate the world while far away from your spawn point. MOD – modification, plugin, a piece of software that interfaces with the Minecraft client to extend, add, change or remove original capabilities. OWNER – , Original author(s) of the MOD. Under the copyright terms accepted when purchasing Minecraft (http://www.minecraft.net/copyright.jsp) the OWNER has full rights over their MOD despite use of MOJANG code. USER – End user of the mod, person installing the mod. THIS MOD IS PROVIDED ‘AS IS’ WITH NO WARRANTIES, IMPLIED OR OTHERWISE. THE OWNER OF THIS MOD TAKES NO RESPONSIBILITY FOR ANY DAMAGES INCURRED FROM THE USE OF THIS MOD. THIS MOD ALTERS FUNDAMENTAL PARTS OF THE MINECRAFT GAME, PARTS OF MINECRAFT MAY NOT WORK WITH THIS MOD INSTALLED. ALL DAMAGES CAUSED FROM THE USE OR MISUSE OF THIS MOD FALL ON THE USER.